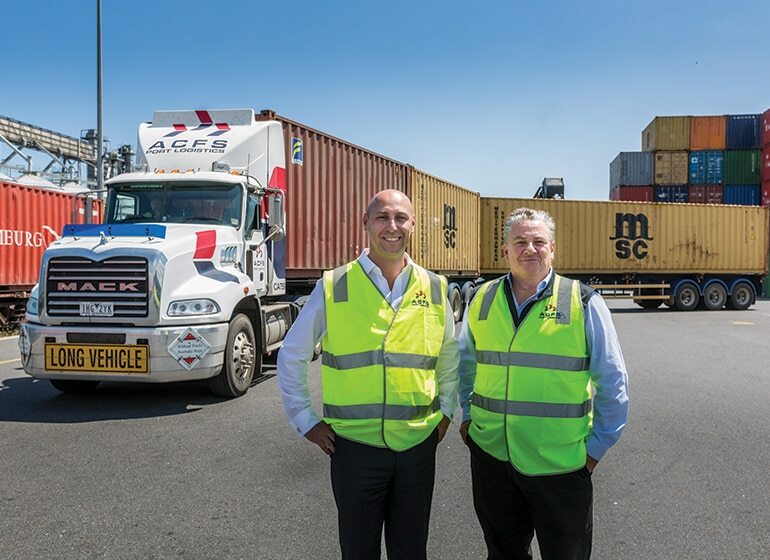 Maintaining a competitive and productive fleet for its intermodal and depot facilities, ACFS Port Logistics reflects on its association with trailer manufacturer, Vawdrey Australia. In December 2005, Arthur Tzaneros, and his father, Terry, started their own business, specialising in warehousing and depot services. They started ACFS Port Logistics by opening a 10-hectare facility in the Port of Botany in New South Wales with a good industry following and started to expand their strategic operations the next year. When ACFS opened a warehousing facility in the Port of Brisbane, in 2006, its supply chain network grew exponentially. “Sydney, Melbourne, Brisbane – everything developed rapidly in the first 12 months of the business,” Arthur says. “There was tremendous pressure on the team as our operations were growing at such an exhausting, but necessary, pace. As a result, we started acquiring trucks and trailers quickly and now our fleet has a mix of about 300 trucks and 1,200 trailers. “Twelve months after the 100 per cent acquisition of the Patrick Port Logistics business, and a year of consolidation, the business is now in growth mode again. Cost-efficiency is ACFS’ point-of-difference, according to Arthur. As port facilities are limited, it is important to bring the volume through the port and grow the infrastructure. As an extension of the multimodal operator’s ethos, it also invests carefully in its road transport equipment to benefit its customers, while ensuring sutainable business practices. 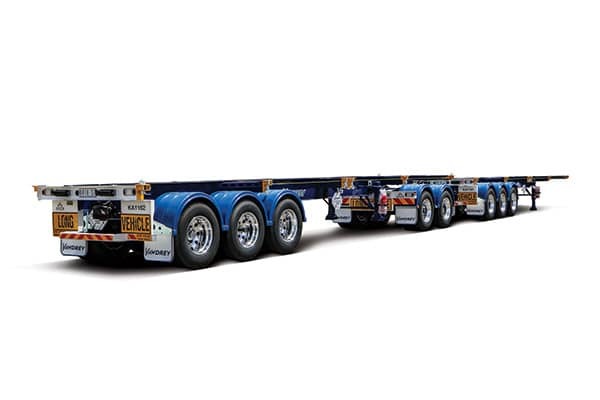 ACFS’ most recent equipment order was placed with Vawdrey Australia for a Performance-Based Standards (PBS) approved quad-quad super B-double with a gross vehicle mass (GVM) of 117 tonnes as well as five 90-tonne GVM A-double combinations for off-port client deliveries. Arthur explains that his rapport with Vawdrey is very open and strategic where other original equipment manufacturers may not be as accommodating in terms of meeting urgent, and sometimes unconventional, deadlines. ACFS has applied its three-pillar policy of maximising TEU (twenty-foot-equivalent units), weight and capacity directly to how it invests in road transport equipment. “ACFS is a solutions-based transport provider that maximises the number of containers delivered from A to B,” Arthur says – adding that Vawdrey has become an important player in ACFS’ road transport equipment team not just for its equipment, but also its values. “We value workplace culture, and trailer builders like Vawdrey align with our company values of the customer, safety, teamwork, innovation and performance. “Vawdrey is responsive at both its service and repair levels. If something happens, Vawdrey has a proven track record for providing support across the board.